Scan the iOS device directly in search for data. 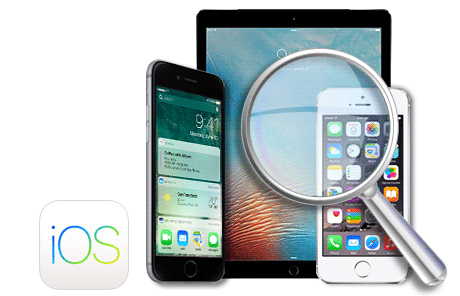 SynciOS Data Recovery allows you to retrieve your lost data due to device lost/damage/crash/stuck, misoperation on iPhone, iOS update failure, iOS jailbreak, factory settings restore. Retrieve your valuable memories and communication info like contact, call history, messages, voicemail, photos etc with the help of SynciOS Data Recovery. Recover Data from iTunes backup file or iCould Backup file:Recover almost everything that you need from iCould backup file or iTunes backup file, encrypted iTunes backups are also supported. 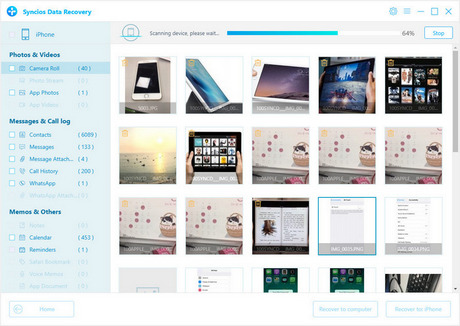 You can preview lost files before recovery. Lost data and existing data will be categorized and seperated by colors in the scan result.